What are some of the most recent writing projects you have completed and why did you do them? Ultimately, what I hope to illustrate with this blog post is that we write for different reasons, different audiences, with different interest levels, and different passions. Some of those most recent writing projects gave me a lot of joy, success, professional experience, and amusement. Others were hard work, requiring high levels of concentration, motivation, and sweat equity, and did not necessarily pay off. The final portion, things like this blog post, helped me take a few minutes to remind myself of how little things like internships are a treat and assist me in cultivating a sense of meaning for writing, more than just as a hobby. With that said, remind yourself to balance the writing. One cover letter completed (or one query letter, whathaveyou) in the bin equates to a few short entertainment pieces wherever you decide to bless the world with your creative musings. This past week, I realized that my writing was all over the place; I was not using my time to the best of my ability; AND I was just not happy with my results. Am I ever going to finish this YA novel I've been working on for the past four years? Am I ever going to send out all those picture book manuscripts I have? Exactly what do I want to do with my writing career? So, after a bit of introspection, I realized that I need to reassess my goals and to figure out a new game plan. I have a bit of writer burn-out, and this can be dangerous. Here are some questions I asked myself to discover where I want to go with my writing career. I thought I would share them with you in case you are feeling the same way. What is my ultimate writing goal? To be a book author? Freelance magazine writer? Support my family on my income? Enjoy a writing life? 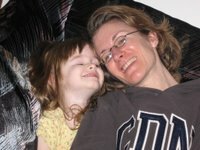 How much money do I need to make right now to help my family? Do I have enough regular writing jobs to make this amount of money? How can I best spend my writing time each day to reach the answer to question number one? My ultimate goal is to be a children's book author. I want to have several children's books published and do workshops at schools for children. This will incorporate my love of education with my love of writing. I won't disclose this amount, however, what I realized is that I can sub only part time instead of full time. This, of course, gives me more writing time. So, I need to write to make up the difference. Yes, I do. I am spending so much time on the freelance job boards and querying magazines that I am not focusing on my four regular gigs each month as well as a couple repeats that I have every couple months. This doesn't mean I won't check out the job boards once a week or read my Premium-Green issue from cover to cover, but I don't need to be on the freelance sites every day for every job. I did all this soul-searching on a walk, which is really helpful (and good for you, too!). I've felt a huge weight lifted off my shoulders ever since. Even if I had 24 hours a day/ 7 days a week to write, I could not have finished all the projects that I was trying to do before I became re-focused. And I don't want to spend that much time writing. I love writing, but I also love my family, reading, a few TV shows, walking, and scrapbooking. Frankly, I've discovered there has to be balance and focus. I hope in a month or two if you ask me how it's going, I can still say how focused I am. We all concentrate on goals at the beginning of the year; but then after a few months, they often fall by the wayside, or we realize they were unrealistic. It's okay to take some time and reassess. It might be the best thing you ever did for your career! Do you have a book to sell? Are you considering using message boards or news groups to reach potential book buyers? How you present yourself in your early contacts with members of these social networks can make the difference between being seen as an intruder or spammer and a valued member with a valued resource to share (your book). 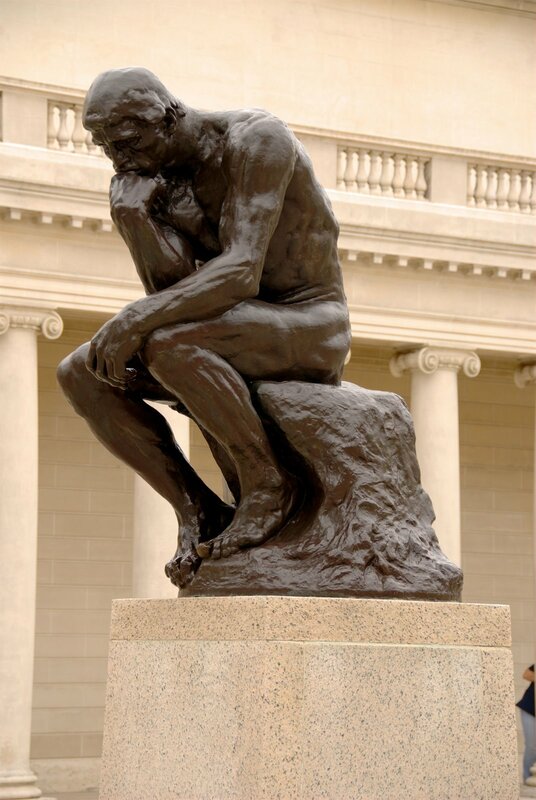 Before you post that first message, take a moment to stop and think. Is your post likely to establish good rapport? Does it set a friendly tone? Does it help you create a good reputation for yourself–as a respectful and helpful resource person? • Is this topic something that most members will be interested in? • What is the stated purpose of this group? • Is my message “on topic” with the group’s stated purpose? • Does my message offer an answer to a question or the solution to a problem? 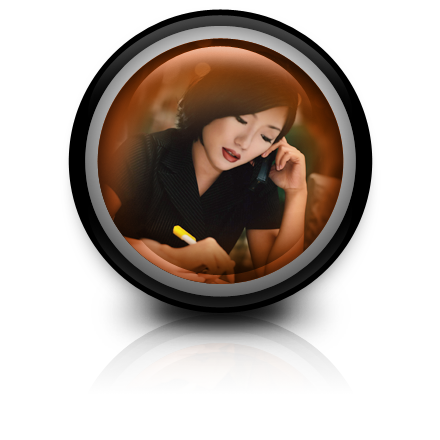 • What benefits can the members derive from reading my post? If you answer the “what’s in it for the group?” question with each message you create–starting with your very first message–then you will quickly become a valued resource person that members admire. Then, later, should you have an announcement that helps you (a new book to announce, for instance), they will be less likely to consider your announcement as “spam”. 1) Focus on the benefit for members (what’s in it for them?). 2) Appeal to the emotions. Sales experts say that people respond first emotionally to a sales message and then later re-think it and justify it with logic. 3) Hook ‘em with a great headline. A headline is the first few words of your message. It is the “title” as it were. Your announcement’s headline is the most important part of your message. Members (who are also potential customers for your book) will either continue reading your message or completely ignore the rest of it, depending on how good your headline is. 4) Make sure your headline suggests a benefit or value for the reader. Make your headline interesting and cute if possible, but don’t sacrifice clarity…they have to “get” your message. 5) Most importantly, make sure your headline spurs the reader toward an action. (If the action you want them to take is to click on a link that takes them to your website, don’t be shy about telling them what to do. Be direct. Say something like, “Go to (www.yourwebsitename) to find out how you can access this valuable information! 6) Once they arrive at your website, direct them to the sale. Tell customers exactly what action to take. Click here. Fill out this order form. Provide your credit card information. If you fail to direct your customer to these final actions, you may lose them at the most crucial point. So make sure that your customer knows exactly what they need to do in order to purchase your book. Rita Milios is author of more than 30 books, including How to Create Quizzes, Surveys and Polls to Power-Promote Your Book or Website! She offers unique book promotion services to fellow writers, including hourly “Borrow a Brain” brainstorming sessions. Find out more at www.ritamilios.com/bookpromotion, where you will also find FREE Quizzes and e-Reports. Last summer, I had the pleasure of serving as the Youth Director for the Great American Comedy Festival in Norfolk, Nebraska. Youth from across the country attended the workshops. The Brave New Workshop, an improv theatre group from Minneapolis, taught sections covering improv and sketch/comedy writing. As a parting gift, the group presented me with a token of appreciation - a book titled Return to Civility. It's written by John Sweeney and The Brave New Workshop. I flipped through the pages and when I returned home from the week-long camp, I placed it on my bookshelf, where it's sat ever since, pages unopened and appreciated. Earlier this month, my husband and I were in San Diego for an anniversary present / vacation before farm life consumes all his summer hours. We attended a comedy event and, although I would like to say I actually heard some great comics, I can't. It isn't because they were bad; that's definitely NOT the case. They were hilarious! I couldn't hear everything they said because three people sitting several rows behind us were talking throughout the performance and shouting phrases to the comedians, which, due to explicit content, I am unable to type in this blog. OK, I refuse to type it because it was downright rude! When we returned home, I happened to pick up the book and started reading. The project came about because of a similar situation experienced by John and his wife. It made me start to think about creativity and civility. How often do we fall into a rut and feel like we aren't accomplishing anything? How often do we post a comment on a social networking site that sounds like we're whining, when instead, we should be celebrating our successes and even our failures? How many times do we read a contest critique or a rejection note and complain about the honest evaluation we've received? Be the "yes person" for those around you. or just need a listener, be the "yes person" --the person who listens with an open mind and always says "yes, I can see your side of it"
or "yes, I can help you with that"
or "yes, I can see how that might work"
or "yes, I am listening." I agree, but I also think we need to be the "yes person" for ourselves. Sometimes we need to grant ourselves permission, listen to our inner critique, and then serve as a strong listener for our fellow writers. Being an artist - spoken-word or written-word - is a tough business. Practicing civility will make our job easier. Lately, while trying to describe my writing projects to friends and family, I've realized how publishing and writing has it's own different language, but I never thought of how much of a different culture it might be, as well. I take it for granted that "books," "magazines," "agents," and "publishers" are general terms over which we can all find a common ground. Sure, I blog for part of my living. I understand that the business aspect can seem quite alien. Mention Twitter and there is the patronizing chuckle and, "So, you are on Twitter?" However, I find it strange that members of my family, who are well versed in Facebook and Goggle, seem intimidated by finding my words on the screen. Countless times I've been told, after e-mailing a link regarding posts on my open blog, "I would have read that, but I couldn't possibly figure out how to get in." And yet they can conduct online research about an obscure vacation destination and post photos from their time there on Flickr. I've been working on a book for a collaboration, which is pretty straight-forward. I mean, I've written the book proposal and submitted it, so I was able to explain the subject for 20+ pages. (Okay, well the jury may still be out on that statement!) It is the traditional publishing route: proposal, agent, publisher. But then I realize that for many, who write a resume to apply for a job, the business process of writing IS from a different planet. Think about it: you want someone to pay you for your time, effort and energy for the job to write a book. But instead of just presenting your credentials and passing through the gate, you need to, in the case of fiction, finish your work or, in the case of nonfiction, have done a lot of research and market research. Often while holding down the daily job that does accept a resume and allows you in. But I think I'll take my mother's suggestion and keep my resume polished. Just in case my latest job application of collaborating on a book doesn't pan out. 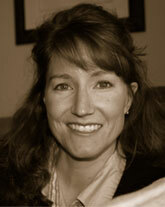 Elizabeth King Humphrey is a creativity coach and the moderator/main blogger for CoastalCarolinaMoms. She has her own blog, TheWriteElizabeth, where she contemplates how to fill her day with joy and wonder, bypassing all (or most!) negativity and angst...particularly about the business aspect of writing. Got an email from a friend a couple of days ago about a site called 'Things To Be Happy About'. Curiosity piqued, I headed over for a look-see. The site is based on author, lexicographer and archaeologist Barbara Ann Kipfer’s 14,000 Things To Be Happy About and other books she’s written. My cutesy tolerance tends to be pretty low, but I found myself smiling at the illustrations on the homepage. The site’s a gold mine of little-known facts, ideas and things to lift your spirit. You can get started by clicking on the current day’s date to find things for that specific day. Today (April 19th), get happy over tiny, cozy restaurants. Take it a step further and find one to go to, alone or with a friend. Want to put together a wish list of things you want to do? Check out ‘Wish Upon A Star’, based on ‘The Wish List, for dreams both attainable and a bit more far-flung. Who doesn’t need a bit of guidance in life? Get thee to the 'Wisdom Well' and see what you can find. There's a search function in each section so that you can plug in random words or thoughts to see what comes up. I typed in 'chocolate' under the 'Life Needs A Menu' section and the results were rather mouth-watering! And while you’re scoping the site, you just might find a few ideas for your writing. So when your eyes are crossing from market research overload, frustration’s building over articles that won’t come together, and you’re weary of characters insisting on doing things their way, give yourself a break and head over. Because we writers can all use an occasional visit to that shiny happy place. What do you look for in a computer for your writing? Do you focus on its screen size, portability, storage capacity, or do you look for the operating system and software/hardware you can run on it? How many of you write using handhelds versus laptops, laptops versus desktops? How many of you still prefer to do all your drafting in longhand and type it up only when it is necessary? Lastly, when you write and/or edit manuscripts, what types of platforms do you use (i.e., Google doc, MS Word's Track changes, etc.)? Do some work better than others in your opinion? I figured I'd make this an open post to hopefully get a good dialogue going, as while I love technology, I'm relatively a newbie to taking writing into consideration as I once again go in search of a new computer since mine bit the dust...the latter questions come from the fact I'm finding everyone seems to have different preferences when it comes to collaborative editing, and I would love to know what else is out there to try as I help other writers with editing comments. 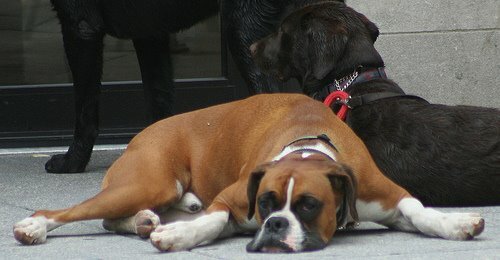 Last week, my boxer, Charlie, died suddenly in his sleep. He was 10, and he led a good life, but it was still completely shocking and totally devastating. In our family, dogs are not just dogs, they are members of our family--our babies--and my parents' grandbabies. When my husband broke the news to me, I was in the middle of writing a blog post, and I completely stopped. I couldn't finish, of course, and I just closed down my computer and put my stuff away. That night, we continued with our plans to take our other dog to my parents' house, pick up my stepson, and travel 10 hours to my brother-in-law's house for Easter. So, I didn't write the next day either. For the week we were gone, I wrote nothing but two paragraphs on my blog about Charlie and a few status updates on Facebook. I could barely even turn on my computer. The only thing I could think about was how much I missed Charlie, how much I was worried about Hush Puppy (our Basset Hound), and how horrible it would be when we got back home without my shadow. I was exhausted from trying to be "happy" around my family and celebrate Easter. I hadn't gone a week without writing anything for probably five years. I usually write every day--an article for Bright Hub, a chapter of my novel, or a draft of a poem. But I didn't want to write--not at all--I didn't even miss it. When we returned home, I forced myself to go to the library and write two articles for Demand Studios--articles that focused on travel tips and didn't make me think about Charlie. I finally returned to work on my novel yesterday, although I just read over a couple chapters and revised them. I'm still only writing during the day, away from home. I can't seem to get in the swing of things at night. I'm finding when your work is creative, it is just plain hard to work through grief. I've heard people talk about journaling their grief or turning those raw emotions into beautiful poems. But the most I can seem to do is share my story with the world through a couple blog posts. I'm too close to the situation, I guess. I can't even think about the first line of a poem or essay--it's just a big, bundled mess in my brain right now, which is why this blog post is also probably rambling a bit. I guess my point is that if you experience a great sadness in your life as a writer, give yourself a break. I didn't want to, and I keep worrying that something is wrong with me, that my joy for writing is gone. But it's probably not. This is all normal--and the same methods do not work for every writer. Some people could fill journal page after journal page about their grief or depression; others can produce pages and pages of poetry; I can offer this blog post. I would love to hear your stories. How did you work through your grief over a loved one (human or animal), and how long did it take your writing to get back on track? The one thing that has really helped me through this process is an old book I found at the library about grieving for pets. Pet owners shared their stories, and I found comfort in hearing others' tales. Maybe we can do the same for each other here. Why Should I Keep My Domain Name and Hosting Separate? I received this email today from a WOW! reader in reference to my article, Get a Blog, Get a Job. I thought I'd post it here in case others have the same question. This can be done when you register your domain name, but honestly, it’s better to have your domain name registered with one company, and your hosting with another. Why is that? It seems like an unnecessary step—isn’t it easier to just have everything with one provider? I assume you had a specific reason why it’s worth the inconvenience, and I would very much like to know what it is. I bet your other readers would, too. Webmasters can't stress this enough, and is often their first rule: Don't buy your domain and hosting from the same company. Why? Because in the course of your website's life you will probably change your web hosting at least 2-3 times for a variety of reasons, and this could cause a problem, which I explain below. WOW! has changed our host twice in 3 1/2 years, which is fairly common. Customer service isn't good, and it takes them a long time to reply to you. Your website suddenly gets popular and you need to upgrade to a dedicated server (that's what happened in WOW's case). You find out you're paying too much for hosting with one company and you found a better deal with another. Your website is too slow and your readers are getting frustrated with its loading time. You want to redesign your website and find a better package somewhere else that has the tools you need for your upgrade. Matt of bg Theory writes, "Hosts and registrars have different responsibilities. They both have supreme control over your visibility online, and one should not use the same company for both--ever. "A host’s duties are to make sure your website is up, running, responsive, and give you support when something goes wrong. "A registrar’s duties are to keep your domain name safe, alert you when there are problems, and keep you in the loop on anything strange going on with your domain names. We’ve all heard stories about hosts who suddenly turn off a site and put the domain name on hold. If you host with the same company as is your registrar, you can lose both in a single moment." When you decide to look for another host, since your domain name is also registered with your host, switching them to another host will most likely be a painful process. For instance, if you were having trouble with customer service before, imagine trying to get them to help you change your DNS (Domain name settings)! If you keep a separate service provider for your domain name and a separate service provider for your hosting, it will be a lot easier to redirect your domain name to your new hosting. You will also have the peace of mind that you can change your host any time you want without having to jump through their hoops. Your domain name is your most important asset. Safeguard it! For instance, a lot of companies offer a hosting package that includes a free domain name. It's a common marketing offer, and a lot of newbies will consider this a great deal. But what happens when you want to change hosts? Who owns that free domain name? Many times, they do, because it was free. I've also heard from website owners that their host would not release their domain name, or the domain name that was "free" suddenly comes with a hefty price. And what if your domain/host company goes out of business? I've heard of that happening to others. Now, I know what you may be thinking...that won't happen to me! Well, most likely it won't. But why take a chance when you're starting off? I know it may seem like an unnecessary step, but really, it won't take you that much extra time and may just save you time and money in the future. I notice that many of the joys of writing have little to do with making money (although that's nice). Let the list remind you of all that writing can bring to your life. It definitely gave me a boost today. Shona Snowden lives with her husband and children in Sydney, Australia. She works as a freelance copywriter, squeezing essays and fiction in around paying clients. Her short stories have been published in several national magazines in Australia and 'The People's Friend' in the UK, and her humour has appeared in 'The Sydney Morning Herald'. Shona loves writing for both adults and young adults and finds, sometimes to her own surprise, that most of her characters like to hurl themselves into paranormal mysteries. Maybe the spirits are trying to tell her something…or maybe Shona's characters are just braver than she is. As well as writing and taking care of her family, Shona spends her time reading, cooking and learning to identify the many Australian spiders and snakes that would like to kill her. Shona placed as a Runner Up in the Fall Personal Essay Contest sponsored by skirt! books, with a prompt by Jill Butler, for her story Recreating Home. If you haven't done so already, read her story and come back for the interview! WOW: It sounds like you have a full plate of family, freelancing, fiction writing and writing for fun. How on earth do you fit it all in? Shona: Well, my house is a mess... I admit that life is easier now that both of my children have started school, which gives me about six hours or so a day for work and writing. Until they get sick and then the whole thing falls apart! WOW: I hear ya! Besides that challenge, what was the most challenging part of writing this essay? Shona: Getting started, because the events that kickstarted this period in my life--being stalked--were so awful. You'll notice the lack of detail! I did write more detail on the stalking originally, but decided that wasn't at the heart of the story. This story was about what happened afterwards. However, a couple of my friends have asked me to write more about the stalking at some point, and I will when I feel ready. WOW: That's a tough subject. But it sounds like you created such a warm and wonderful place for yourself in Amsterdam. What is your space like now that you reside in Sydney? Does the thick green china and the bubble tumblers still have a special place in your home? WOW: Ghost Boys Give Cold Kisses is such a fun title for a Young Adult novel. Where do you find your inspiration for your paranormal mysteries? Shona: It is still a surprise to me that I write paranormal mysteries. When I first started writing, I thought I was writing about awkward characters with family issues! I guess I still am, just in a different way. Ghost Boys Give Cold Kisses was my attempt to submit to the voices and write a straight out ghost story and I had a ball doing it. Shona: I have a thing about the number 13 and I won't stop reading or writing on page 13, or reading on chapter 13, it has to be 12 or 14. I'd miss chapter 13 out altogether in my own writing if I could, but even if I skipped it, or used titles instead of numbers, I would still know it was there. I just write really fast when I get to that area! I’m not great with multiples of 13, either. I know. Weird. WOW: How do you "switch hats" from freelance to fiction? Shona: I've learned to do that pretty fast, because sometimes I'll find I have an hour left at the end of a day of commercial writing and if I don’t make that head switch quickly then the hour will be gone. I'll usually visit a few blogs for a five to ten minutes just to clear my head, then jump in. WOW: Lastly, do you have any advice for those just getting started in their own writing adventures? Shona: The biggest mistake I made at first was not to write unless I had at least two hours available. Now I try and write even 100 words a day. It might not seem like much, but it keeps you in touch with the progress of what you are writing, so when you do get a bigger chunk of time you can jump right in, rather than spending time reminding yourself of where you are in your story. WOW: Thank you Shona, for chatting with us today, and congratulations on your win! LuAnn Schindler is on vacation this week. What happens when a journalist is absent from the workplace? Either she completes her assignments ahead of time or she submits while on the road. In my case, I'm submitting while I'm on the road. Today, I'm blogging for The Muffin from sunny San Diego. Luckily, my sister has a computer (although I'm suffering with a 56K dial-up connection). The clear blue skies and the awesome ocean view provide a fantastic backdrop for the creative juices. Even though I've been here since Thursday, I've still written every day - mostly longhand - but it's important to maintain a writing routine of some kind, even while travelling or on vacation. You never know when something you witness or overhear will spark an idea. Like many of you, I keep a small notebook in my purse and add notes whenever something grabs my interest. Yesterday, we visited historic Julian, California, an 1800s gold-mining town that's now famous for it's apple crops. While there, I got caught up with all the history, the layout of the town, and the swarm of visitors to this berg located in the mountains. I had my notebook out most of the afternoon. Ok, maybe I put it away while we were munching on local BBQ or during the wine tasting. Actually, I didn't. I took notes about every single thing that stood out to me, because as a journalist, I know at some point I will be able to use the information in an article or creative non-fiction project. Yes, I'm on vacation this week, but the writing continues. And when you are away from home - even for a weekend visit - the writing must go on. As writers, we’re always looking for inspiration to get us back to the keyboard or notepad, or to expand on an idea (or several) already percolating in our minds. While exploring HOW, an online magazine for graphic design professionals, I came across an article by Sam Harrison, author of a number of books on creativity and editor of his site, ZingZone.com. Titled ‘10 Ways to Get Inspired by the World Around You’, Mr. Harrison suggests that close examination of what’s around us may reveal more ideas than we can handle. I daresay that most writers already practice number five, ‘Observe and Take Note’. After all, how else would we get, retain and develop all of those ideas we come across? Mr. Harrison mentions two of the world’s more notable notetakers, Leonardo da Vinci and Thomas Edison, whose books were filled with diagrams, sketches and notes. Not too long ago, I came across a worn notebook filled with expansive family trees of characters I had created when I was in high school. This book became a ready resource to flesh out characters for scripts I wrote for an online radio drama I used to work for. You could look at number two, ‘Explore the Masters for Material’. The article points to artist Willem de Kooning, who was inspired by Rubens to combine classical and modern into a new form of art. Does Dali do something for you? Perhaps a gaze into his life may inspire you to create a graphic novel. Sometimes as number ten states, you ‘ Stay Where You Are’, which is what Charles Pajeau did as he watched his children build structures with pencils and thread spools they found around their home. What was the outcome? A classic: Tinkertoys. I had an interesting encounter with a student the other day. He came in to work with me on a paper for one of his classes. In particular, he wanted to show me all the things he remembered from past conversations and how hard he worked on each one. It alone was a proud moment, as his writing is improving from him trying so hard. The proudest moment, as I feel many educator-types would see, was when he proclaimed he is getting better with avoiding contractions, like he's, it's, can't. The reason this is so important to write about is how he has eliminated these slips into casual writing - he is taking it to heart when he is texting his friends! In short, the student goes into how his friends make fun of how long his texts are and how long they take to send, since giving up text shorthand. As he put it, the only way things were going to improve with his writing was if he went and continued the same rules to his cell phone/instant messenger texting too. While he did slip in a few contractions still, the fact that he is trying so hard speaks something to the woe is the writing world since the advent of texting. These Gen-Y types can be mature enough to push for change too, especially when they realize that their U (You), LOL (lots of laughs or laughing out loud), etc. jargon is obfuscating their academic essays and befuddling some of their readers. To me, this student's proactive stance shows there is still hope for a dual existence. Don't get me wrong; I am as guilty as charged for using my texting shorthand from days of instant messenger and social networking past, but as a non-cell phone texter and also a complete nerd, I always checked my ttyl's (talk to you later) and my brb (be right back) at the front door whenever I enter a classroom or hand in a term paper. So, what is your opinion on this? Do you think this student is an exception to the rule? Do you see text jargon bleeding into professional work? Do you think there is nothing wrong with using both shorthand and fully spelled out lexicons as long as the reader knows what the abbreviation means? I would love to hear what you all think! What I love the most about being a part of the WOW! writing community is that we are, in my opinion, a nicely blended group: Some of us are in the beginning stages still waiting for that first publication nod, others are veterans with hundreds of published pieces behind us, and the rest of us are somewhere in the middle. But no matter where we are we sit within that writing spectrum, we all have one thing in common--a deep, rooted passion for writing. That passion is what we draw from when the words don't come easily some days. It's what helps us to dust ourselves off and get back out there after a rejection (or two...or four...or more...). And it's what's brought us all here together. I realized recently, however, that passion is something that needs constant nurturing or it can fizzle out. Some people call it "burn out," others call it "writer's block" but a few weeks ago I just couldn't get my words to come out. I sat at my computer desk, ready and eager to write, but nothing came. I tried all the suggestions made here on the forum at one time or another to get those creative juices flowing again: I went for a walk, read work I found inspiring, did other things to "refresh" myself...I tried them all. But when I sat back at the computer again it was the same--nothing. Nada. Zip. After a few days I was hit in the stomach with the realization that I'd lost my passion for writing anything. And it hurt. I didn't feel like writing on my blog, for my newsletter, for anything. It wasn't like I didn't have work or that I'd been receiving so many rejections I wanted to give up (like in the beginning of my career). In fact, I'd been receiving more offers to work--in the areas I wanted writing in--than ever before. But there was nothing inside of me igniting that desire to delve in and create. What the heck is going on here? I thought with frustration. Why can't I do this anymore? Just as I decided that a sabbatical would be the best idea for me, the shining light in my life gave me a beautiful gift. Jaimie approached me as I sat at my computer desk, my face buried in my folded arms, and said, "Mama, can I take this to school tomorrow?" I peeked over my arms to see the cover of the children's picture book I'd written. I had given an extra copy to Jaimie when the book came out and had told her to keep it with her whenever she felt badly or when she felt she needed extra courage. As alot of you know, I'd written the book to validate Jaimie's feelings about her Sensory Processing Disorder (SPD) and so she could see that other children went through the things she did. "Can you come and read it to my class?" Jaimie whispered. "I want to talk about it." Right in that moment, I felt a warmth spread through my entire body. THAT was exactly what I needed. I hadn't lost my passion; I just wasn't listening to it. You see, I'm the sort of writer who needs some sort of connection to the work I'm doing. I can't write for the sake of writing or just for a huge paycheque (Although the money is always nice too!!). I guess what I'm saying is that if my soul doesn't feel good about what I'm writing then...well...I'm "just writing." And that's when my passion turns off. Jaimie reminded me the entire reason I write: to help the world understand her. After all, if she's learning to cope in the world around her and the people in it, those same people must learn to interact with her. And that's my job...my reason for writing...my passion. I've been much more creative lately--working on the projects that keep that warmth inside of me stoked. And I'm much happier. What's your passion? No matter where you are on the writing spectrum, don't lose sight of it. Because in the end, without it, your writing will never be what it should be. Then you aren't being true to yourself or your craft. Have a fantastic month everyone! I learned about Anthology Builder on a listserv and checked it out. Hmm. This looks interesting, and it could be a home for my old stories since they only take reprints. Then I googled it and discovered that lots of writers are discussing it on blogs, submitting their stories, and selling some. So, I submitted a couple stories and then more, and then some more. I got the chance to put connected stories together that had run in different publications. You're probably not going to make a lot of money with Anthology Builder. As a matter of fact, some people are using it for their own pleasure. They collect stories and cover art, and the book is printed by Lulu and sent to them for $14.95 (up to 350 pages), plus shipping, which depends on the size of the book. You can choose to have your anthology kept private or placed in the public library, where anyone can buy it. You select from a list of stories (with descriptions and previews), choose your own title and cover art, and receive a perfect-bound, Trade Paperback book. The cover art is in genre categories, as are the stories (you choose up to three genres per story when submitting), and the artists include Frank Wu (Hugo fan artist winner) and Baen's Universe artists. There are a number of public domain stories available, by authors such as Nathaniel Hawthorne, L. Frank Baum, and Jane Austen. There is also a list of publications that the stories appeared in and an author category. You can have fun browsing all the listings. Nancy Fulda, who is the editor/publisher of Anthology Builder and who is also Assistant Editor of Jim Baen’s Universe, offers blog entries that give you updates on submissions, what she's doing to enhance the website, and describe some stories and art, if you want to check them out. Future plans for the site include the addition of an Open Market where authors can set their own prices for individual story sales and the addition of a direct-import option for texts from Project Gutenberg. I plan to add more stories to my collection; you can do this, change your cover art, and add more tags. 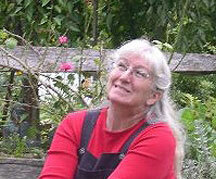 I'm happy to have my stories in Anthology Builder, and Nancy Fulda is a pleasure to work with. Visit Joy's Live Journal for media tidbits and more. For aspiring authors, toss out the word 'promotion' and some have visions of whirlwind book tours and glamorous TV appearances on Oprah or Ellen. Bur for those of us who write for a living, we realize that 'promotion' translates into a 24/7/365 sales pitch. Self-promotion, including book signings, blogging, and endless hours spent on social networking, is inevitable. Authors realize we must introduce our material to readers. We must present an image our brand, of ourselves, of our work. One often-overlooked type of promotion that works is the book trailer. The term, trademarked by Sheila Clover of Circle of Seven Productions, describes an advertising tool used to market books. You know what a movie trailer is. Substitute book for movie and you get the picture. If you're a published author and are considering a book trailer or if you've already produced the clip, consider submitting it to Bookscreening.com. I stumbled on this site one day and watched quite a few of the trailers. I added several to my "must read" list after viewing the trailers. Book trailers, as a marketing tool, bring written words to a visual reality and capture the essence of a book's soul in just a few short minutes. It might not get you a whirlwind book tour or a spot next to Oprah or Ellen on their shows, but it can connect you with the people who purchase books. Rachel Dillon, Author of Through Endangered Eyes: A Poetic Journey Into the Wild, Launches her Blog Tour! Rachel Dillon was born and raised in Madison, Wisconsin. She attended the University of Wisconsin, Madison and graduated in 1994 with a Bachelor of Science in Art, emphasizing in Graphic Design. Outside of art, Dillon held a special interest in evolution and extinction and took several classes in paleontology, and geology. Her passion for animals grew as she learned more about endangered species. Learn more about Rachel by visiting her website: www.racheldillon.com and her blog, http://throughendangeredeyes.blogspot.com. Rachel's illustrations, based on Australian Aboriginal acrylic dot painting, are so unusual we had to let you know that prints are available here. Both the World Wildlife Fund and the Folsom Zoo Animal Sanctuary benefit from the sale of Rachel’s book and art. There are 1208 species on the Threatened and Endangered Species List compiled by the US Fish and Wildlife Service. How many can you name? 5% of all of my book and art profits are donated to the World Wildlife Fund and the Folsom Zoo Animal Sanctuary. 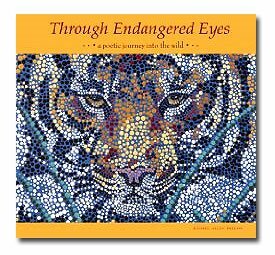 If you received our Events Newsletter, remember, we are holding a contest to win a copy of Rachel's book, Through Endangered Eyes: A Poetic Journey Into the Wild, to those that comment. So, grab a cup of coffee, pull up a chair, and enjoy the chat, and share your thoughts, and comments, at the end. WOW: Hi Rachel! We are so excited to have you join us for a blog tour for your first book Through Endangered Eyes. Before this, you were mainly an artist not a writer. So tell us, which came first, the chicken or the egg? Did you decide to become a writer and search for an idea or did the idea for the book come to you and you said, "Well, now I have to write too." Rachel: I don't remember what prompted me to write Through Endangered Eyes, it just seemed to happen. This books combines all that I love: children, writing, painting, and animals. I had the idea that if I organized my thoughts and poems about endangered animals, and submitted a couple of my paintings, maybe someone would be interested in making it into a book. WOW: Your book is a perfect fit for this month--National Poetry Month. Poetry has always been a challenge for me. What made you decide to write your book in verse? Rachel: Great question! I have always been one to write poems to express emotions, but have never been trained to write poetry. I wanted to make the book fun to read and not just give a bunch of animal facts. Poetry is such a wonderful way to get children to ask questions. I put the factual information in the back of the book, to answer their questions. All of a sudden, when I added the "For the Parents" page and the "For the Teachers" page, it felt like my book was becoming more than just a children's book on endangered species, it was becoming a valuable learning tool. WOW: You mentioned adding teachers and parents pages later in the process. How long did the book take you from conception to publication? Rachel: I started the book in 2002, when my daughter was six months old. I remember writing poems on scrap paper in my car driving to and from work and daycare. My first publisher, Stemmer House, sent me a contract in 2004. In 2005, the asked me to take the book from 9 species to twenty. I completed the book (about draft number 5) in 2006. My first editor, Craig Thorn, sadly passed away shortly after that and I was released from my contract in February 2007. I was crushed. Within two weeks, I submitted to 14 publishers. I lost count of the rejections and started to give up hope. My knight in shining armor, Al Kryson from Finney Co., Windward Publishing, called me in February 2008 wanting my book. I tried to act so cool on the phone, when inside I was screaming and jumping up and down! They suggested changes, so I sent a new draft in April 2008. Then in August 2008, they felt the book would be better if I added more information, so I created an opening page, the polar bear page, a for the parents page, and a for the teachers page. In November 2008, more changes! And yet, my book became better. Finally, my Christmas gift was a call from the publisher with an estimated release date of Feb. 2nd, 2009. WOW: I have a feeling we won't have to wait seven years for your second book. Is it difficult writing your second book while promoting your first? Rachel: I'm planning a series about endangered species with my next, Through Desert Eyes, focusing on 21 desert endangered species. It does slow the process down when I am spending a lot of time promoting my first one but in another way it's helpful. The excitement about the next book is growing as I share my new title at current book events. I am learning which illustrations my readers connect with most; and I'm questioning the number of species to include. I am going to take the next month of events and really feel my audience out and see what they teach me about my book. WOW: Speaking of teaching, you've mentioned two mentors that have taught you a lot about publishing. Who are your mentors and what have they taught you? Rachel: I got published without having another children's book author to talk to. There were so many times I wished someone that was in my situation could pat me on the back and say, "Don't give up." It has certainly helped having Hope Marston and Linda Boyden in the promotion stage of my book. They both encouraged me to do as many readings as possible at schools and libraries. My publisher arranged that I chat with Hope, who writes the My Little Book series about animals for Windward. She shared many things including how important it is to start your next book when one is at the publisher. I connected with Linda Boyden, who is both a children's author and the editor of the newsletter of the Northern California Chapter for Society of Children's Book Writers and Illustrators, when I was trying to get an article about my book in the newsletter. Not only did I get the article but an experienced mentor. Linda has also been in this business a long time and shared advice on where to spend money when advertising my book, and what didn't work for her. WOW: Even as many people in the publishing industry are surrendering to the bad economy you've set an impressive goal of selling 3000 books by December 2009. What made you set this goal and how do goals affect you? Do they make you work harder? Rachel: Just think how many kids would be reading my book if 3,000 were sold in one year. The more kids know about endangered species, the more I hope the world might change. Goals drive me. I tend to get distracted by other things when I don't have a goal or focus. The downside of goals, is how I feel if they aren't met. Sometimes, I cut myself some slack but usually I feel sad. But maybe having high expectations helped me get published in the first place. WOW: Before you get back to work, do you have any words of wisdom you want to pass on to WOW readers? 2. Research. You'll cut your rejections if you find out what the publisher wants. 3. Stay positive during editing. I have probably gone through hundreds of manuscript changes, not to mention changes to my illustrations before my final book was completed. 4. Lastly, believe in your work. If you believe what you have created is amazing, someone else will agree. WOW: Want to join Rachel on her blog tour? Check out these dates and mark your calendar! You can also snag a copy of WOW's Events Calendar HERE. Rachel will be chatting with WOW! Women On Writing. Stop by and share your comments! One lucky commenter will win copy of Rachel's book! Rachel will be stopping by Christine Verstraete's blog, Candid Canine, for a creative post. A combination of a few interview questions, a couple of illustrations and a poem. Rachel will be stopping by The Fatal Foodies blog for an exclusive interview! Rachel will also be sharing some of her poems and illustrations. Rachel will be stopping by Anne-Marie Nichols popular blog, My Readable Feast, to chat about how her concerns about endangered animals inspired her to write and illustrate a children's book. Rachel will be stopping by Carolyn Howard-Johnson's award winning blog, Sharing With Writers (a Writer's Digest 101 Best Sites), for a guest post about finding a publisher and getting published! Rachel will be stopping by Day By Day Writer to chat about how she balances her writing life with her regular life, and her path to publication. This should be inspiring! Rachel will be stopping by Jessica Kennedy's blog for a book review, and an exclusive author interview on how Rachel's books are used by educators. This is a topic Jessica is great at getting information about--just take a look at her informative article featured in WOW's February issue, How To Create a Teacher's Guide for Your Children's Book. This should be a fascinating stop! 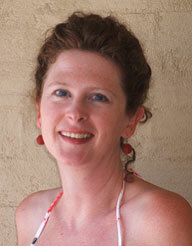 Rachel will be stopping by Joanne DeMaio's blog, Whole Latte Life, to chat about Balancing Home Life with Creativity. Rachel be available to answer questions, so be sure to stop by for a chat. There will also be a surprise giveaway! One lucky winner will either win set of Rachel's notecards or a print. You'll have to stop by to find out. Rachel will be stopping by Mayra Calvani's blog, Book Talk Corner, for an exclusive author interview! This is a new partner of WOW's, and a fantastic site that's part of the Today.com network. Be sure to stop by and see all that the offer. Rachel will be stopping by Margo Dill's fabulous blog, Read These Books and Use Them, for an author interview! The thing I love about Margo's blog is she always incorporates great ways for parents and teachers to use the book by suggesting creative exercises, projects, and crafts. Not to miss! Oh, be sure to comment on this post to enter in a drawing for a copy of Rachel Dillon's gorgeous book, Through Endangered Eyes: A Poetic Journey Into the Wild.